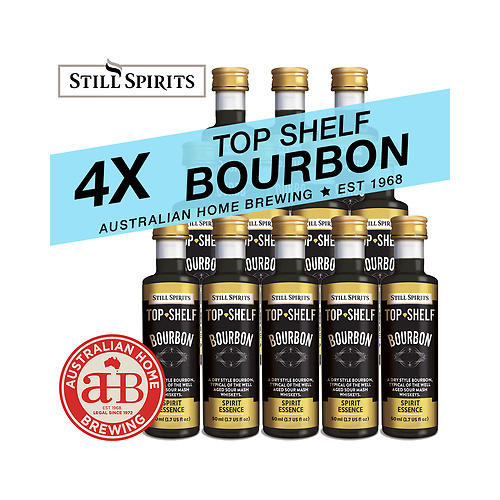 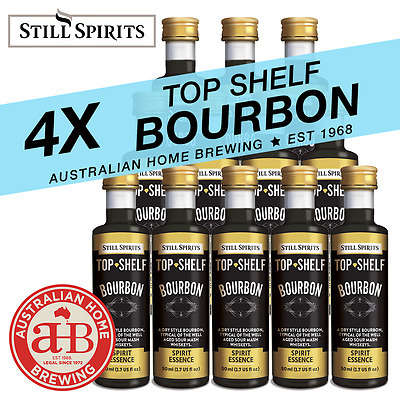 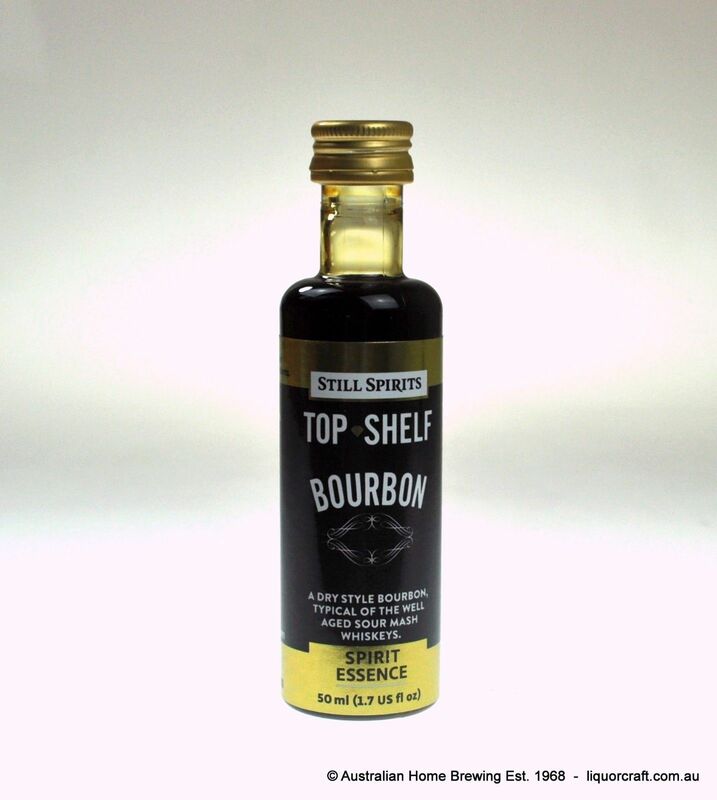 4 x Still Spirits Top Shelf Bourbon Essence 2.25L to make a total of 9 litres. 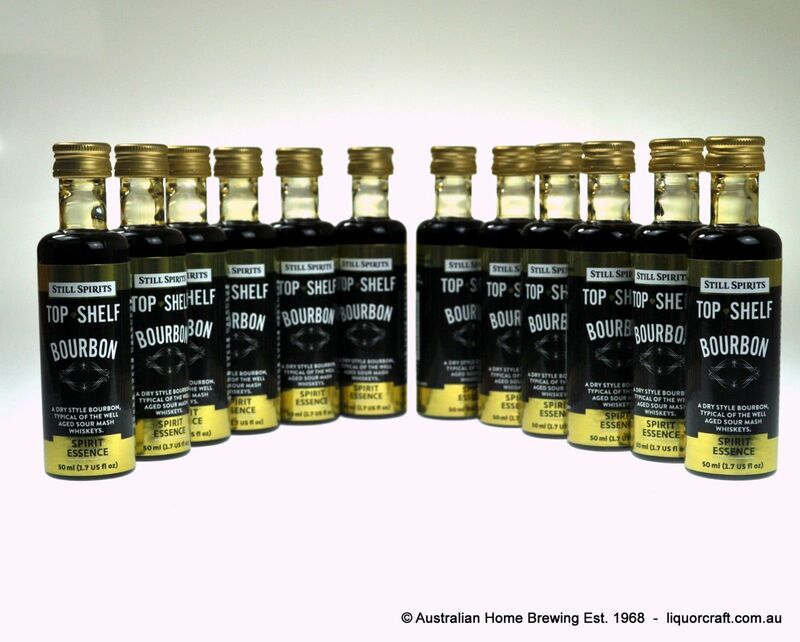 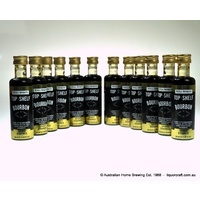 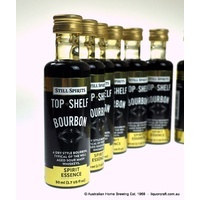 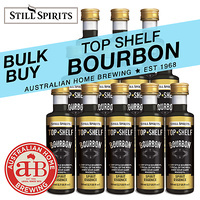 The Still Spirits Top Shelf Range is the biggest selling spirit essence range in Australia. 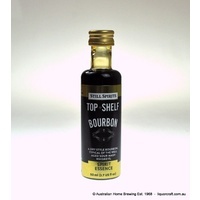 They are hugely popular due to their character and consistency. 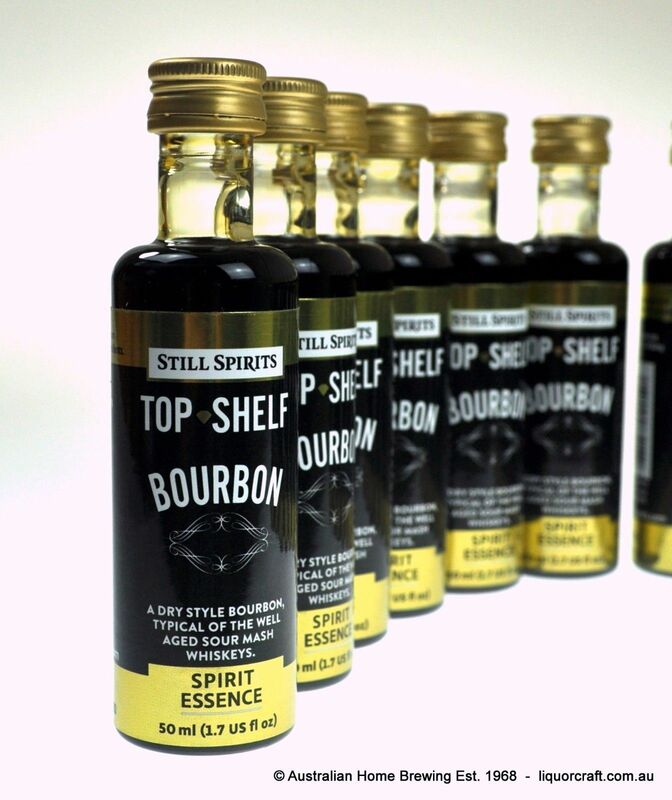 They deliver a great finished spirit every time. Each Still Spirits Top Shelf 50ml bottle makes a total of 2.25 litres of finished spirit.